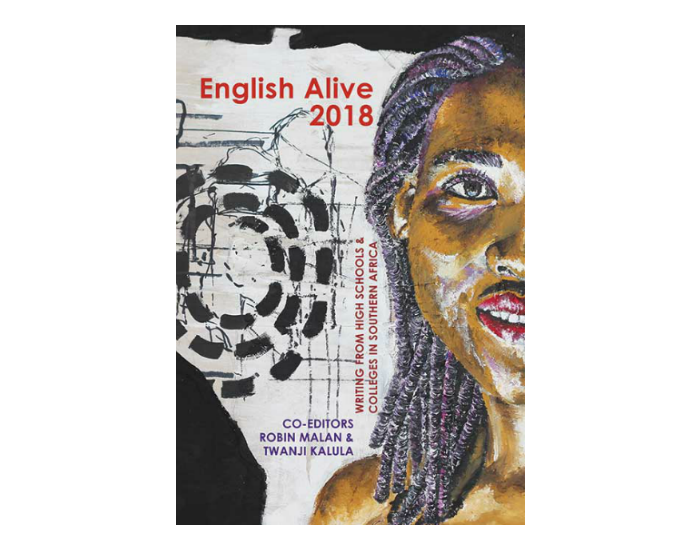 This is the annual edition for 2018, the fifty-second edition, co-edited by Robin Malan and Twanji Kalula, with assistant editors Sharon Sheldon and Naeelah Kamaldien. It features front-cover artwork by Siphesihle Tsabedze (Waterford Kamhlaba United World College, eSwatini). There are 61 pieces, drawn from students at 35 schools. It features the work of, among others, Amber Adams (Herschel Girls School), Matthew de la Rey (St John’s College), Thameena Dhansay (Rustenburg High School for Girls), Seth Meyer (Wynberg Boys’ High School), Thandile Mqikela (Masibambane Secondary School), Tshedza Mashamba (Hyde Park High School), Kayliyah Stevens (Malibu High School).